When well-meaning parents turn the self-tracking into a family religion, the consequences fall outside the quantifiable. 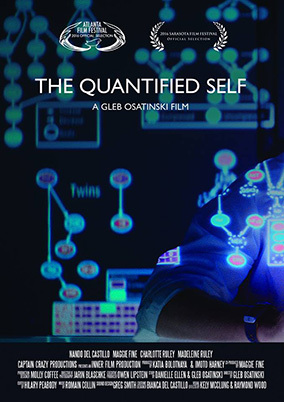 Gleb Osatinski received a film degree from the Digital Film Academy in New York and has trained at Columbia University Summer School of Professional Studies, as well as directing workshops with Adrienne Weiss, a teaching professor at Columbia University. Osatinski's award-winning short films screened at dozens of film festivals around the world including: Short Shorts Film Festival, Asiana International Film Festival, Krakow International Film Festival, Atlanta Film Festival, Sarasota Film Festival, and New York and Los Angeles Shorts Film Festivals. His films are distributed by Fandor, Xfinity, Vessel, Pacific Voice in Japan, and Shorts HD Inter- national. Osatinski is included in the list of honorable FIX Filmmakers at Fandor. Prior to filmmaking, he received Masters degrees in physics (Kharkov Polytechnic University) and computer science and finance (New York University). Gleb is married and lives in Brooklyn with his wife Katya, a little daughter Eva Claudia and dog Brodski.